Watch the All Back / Say It With Me video below in all its glory and check out the lyrics section if you like to learn the words or just want to sing along. I want it all, now I want it all. 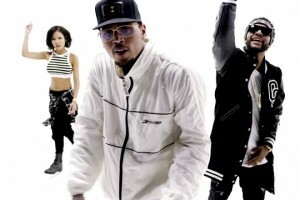 The music video for Chris Brown's single All Back / Say It With Me has already been viewed 23,002 times since it was posted on Monday, November 21, 2011. The video belongs to the music genre of R&B.